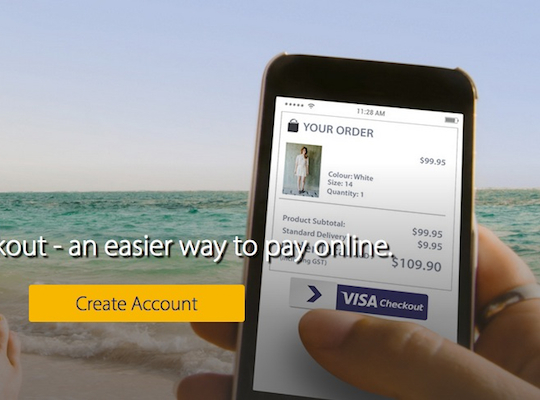 Visa has announced it will roll out its online PayPal competitor Visa Checkout to 16 markets worldwide following a successful launch in Australia, the US and Canada in July 2014. Visa Checkout has had “tremendous growth” in the three launch markets, with more than three million accounts created, says Visa senior vice president of digital solutions Sam Shrauger. The system gives merchants an average conversion rate of more than 70% for existing users making purchases. Visa Checkout works similarly to market leader PayPal, in that customers store their bank card and shipping details within a secure account with Visa. When making purchases, customers simply enter their username and password rather than having to input their credit card details every time. The system can be used on all devices including mobile, tablet and desktop. Customers can store multiple cards including Visa, MasterCard, American Express and Discover credit and debit cards.